How Are Social Audits Empowering Citizens of South Africa? 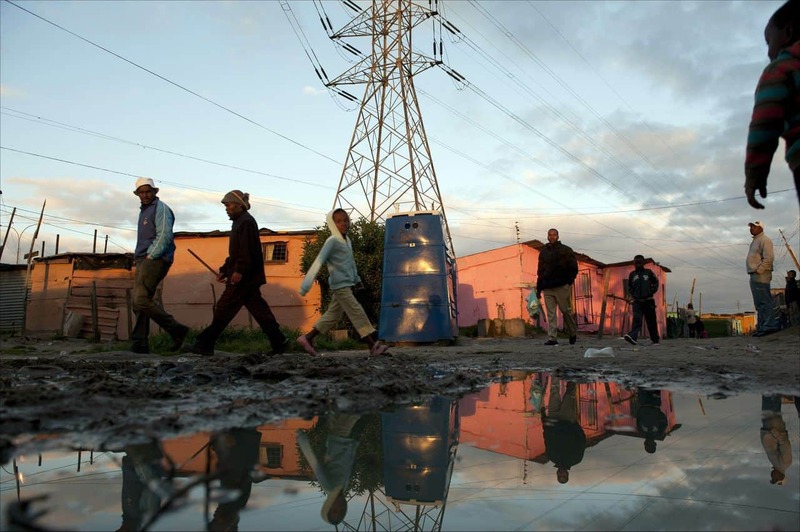 This post appeared as an op-ed piece in the Cape Times on 10 May 2013 as part of a recent social audit that took place in Khayelitsha, an informal settlement on the outskirts of Cape Town, South Africa. For more information on the social audit and its outcomes, see our featured page. The original article was written by Vivek Ramkumar, Director of International Advocacy and the Open Budget Initiative at the International Budget Partnership in Washington, D.C., and Sowmya Kidambi, Director of the Society for Social Audit Accountability and Transparency, Government of Andhra Pradesh, India. This year, Freedom Day was celebrated in a special way by some residents of Khayelitsha. More than 150 residents spent four hours testifying in a local school hall about the problems they face when using ‘chemical’ toilets provided by the City of Cape Town. Access to clean and safe sanitation facilities are essential to the health and well-being of people. Perhaps for the first time in their lives, these citizens had the opportunity to participate in an open monitoring exercise and then discuss the issues they identified with top officials from the City’s sanitation and utilities department, the provincial Premier’s office, and a representative of the contractor that had been awarded a R 140 million contract to supply and clean approximately 5,000 chemical toilets. Some of the testimonials at the hearing were heartbreaking. One woman spoke about how she had been raped when she went to a toilet in a remote corner of her neighborhood at night. Another discussed the health hazards young children face when playing near these unsanitary toilets. Many of those who testified gave evidence of how the contractor for the toilet cleaning and maintenance violated the terms of the contract by failing to ensure that the toilets were clean, properly secured to the ground, or in good working order. The public hearing culminated a week-long ‘social audit’ exercise conducted by the Social Justice Coalition (SJC) with the help of approximately 50 of their members and volunteers from Khayelitsha. Much like a financial audit, a social audit follows a rigorous methodology. In a social audit, groups must access relevant information from the government, collate and demystify it for the public, compare the records to the facts in the field, and offer people a formal platform for presenting their first-hand experiences. The social audit process goes beyond accounting for the money that has been spent to examine whether the money was spent properly and has made a difference to people’s lives. A few days after the public hearing in Khayelitsha, city officials sought to dismiss the evidence presented at the public hearing compiled by SJC by terming it an ‘informal’ audit. Far from being an informal audit, social audits are increasingly now used in a growing number of countries, including India, Indonesia, Kenya, and countries in Central America. In fact, the Indian government uses social audits as an official monitoring tool for many welfare programs. The Indian state of Andhra Pradesh has organized more than 5,000 social audits, attended by more than a million residents, with recorded testimonials provided by hundreds of thousands of mostly poor farmers and workers. As a result of these social audits, the government has recovered the equivalent of millions of rands stolen from these welfare programs and initiated action against those found guilty. Social audits have also helped identify loopholes in the delivery system and fix them while giving deep insights that influence policy. At the national level, the Auditor General of India has recognized the importance of social audits and begun providing training to audit staff on social audit techniques. The development of social audits is in part a result of the failure of financial audits to enforce accountability. Financial audits conducted by the Auditor General often result in highly technical reports that laypeople cannot comprehend. In fact, even legislators, who are the primary audience of financial audit reports, sometimes struggle to understand the full implications of these technical documents. As a result, these audits have often failed to hold powerful and corrupt officials to account or to protect the interests of the disempowered who are denied the full benefits of government programs. The rigorous nature of the social audit was fully applied by the SJC and its volunteers. They physically counted the toilets in four settlements in Khayelitsha and compared these numbers against the City’s records. They interviewed hundreds of residents about the cleaning and maintenance of the toilets. They took detailed notes during these meetings and used them to prepare summaries of the challenges faced by residents. Formal platforms provided by social audits enable the beneficiaries or target groups of public programs, like the residents of Khayelitsha, to articulate problems they experience in program implementation. Placing information on public programs in the public domain and holding an open discussion with relevant stakeholders can be an effective mechanism governments can use to increase the efficiency and effectiveness of service delivery. In many countries, there is an increased emphasis on words such as participation, transparency, and accountability in governance – social audits bring these words to life. Social audits can be a powerful deterrent against corruption, wasteful expenditure, and poor service delivery. City officials would be well-served to take the findings of the Khayelitsha social audit seriously. Such actions will demonstrate their commitment to running an open government.